In My Mailbox is hosted by Kristi, The Story Siren, you probably already know that but if you don’t, go here to find out more! 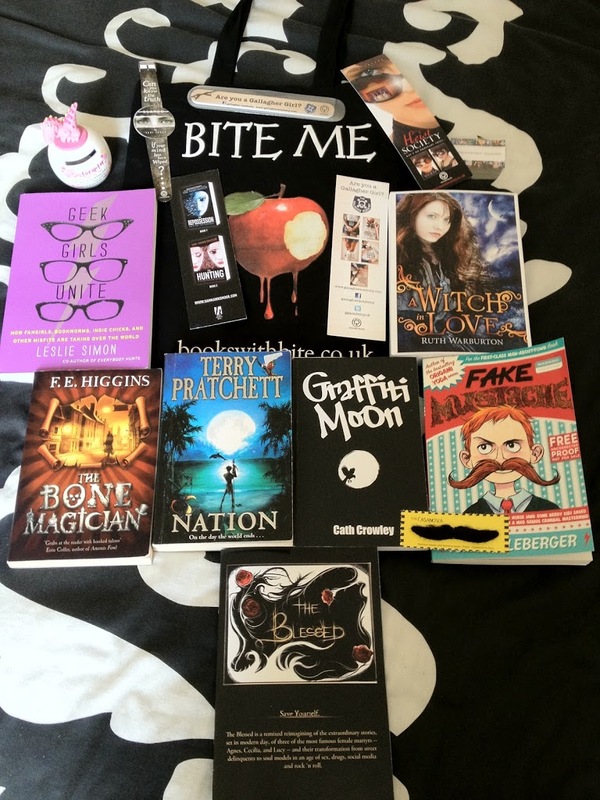 I got quite a bit this week as I went to the Hachette Book Blogger Meet-up yesterday, it was lots of fun and I came away with lots of swag! I cant wait to read these books, I loved Origami Yoda by Tom Angleberger and didn’t realise this one was due out soon so I’m excited for that and also I have wanted Graffiti Moon for ages and didn’t know it was coming out over here! I haven’t read Ruth Warburton’s A Witch in Winter yet but its high on my tbr pile and can’t wait to read the series, thank you Hodder/Hachette and Amulet for these books! These were forced upon me from my sister because she’s a huge fan of both authors and cant believe I haven’t read anything by either of them before! Geek Girls Unite looks like so much fun and as its a non-fiction book I think I can get away with it not breaking my book buying ban… maybe! I also got the Kevin Smith book but its for my big sister as shes a huge fan! I just realised that it might be the second book of a kinda series though… oops! I love swag! The emery board and one of the Gallagher girls bookmarks are actually going to someone else though… not mentioning any names (Steffi!!) Thanks Hodder/Hachette for these! Thats my mailbox, what did you get in yours!? We haven’t read any of these authors. Curious about the moustache book and Terry Prachett. Does your sister recommend Nation as the best place to start? I loved Graffiti Moon so much! Happy reading, Raimy! Haha you got an actual fake moustache with it, fantastic! I wish I could come along to some of these blogger-publisher meetups! You guys always sound like you have such a great time! Graffiti Moon was so good! I hope that you enjoy your new books! Find out what’s in my mailbox this week, click here. Great set! So cool that you got Graffiti Moon. I’m excited for it.